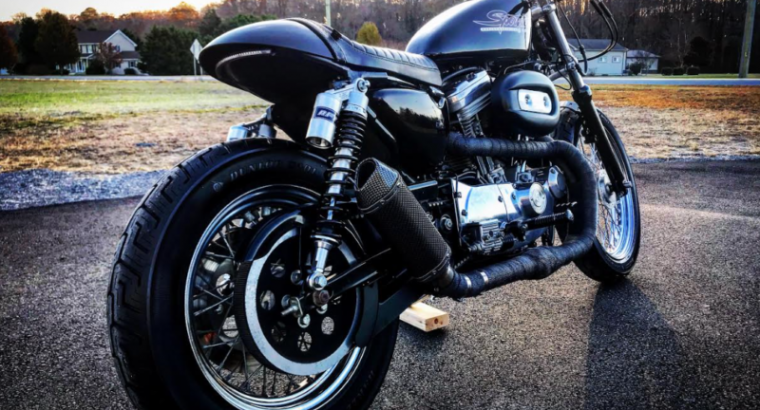 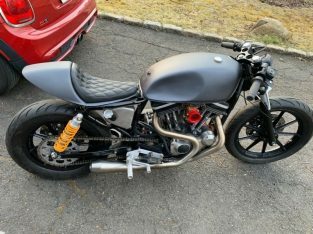 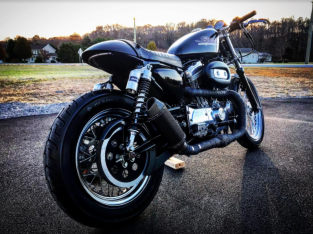 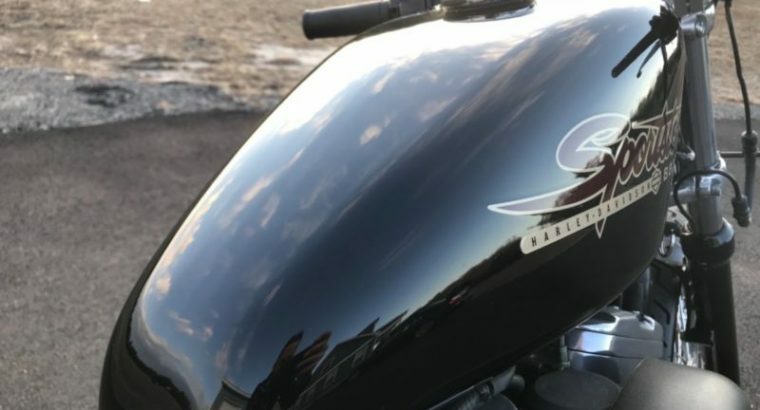 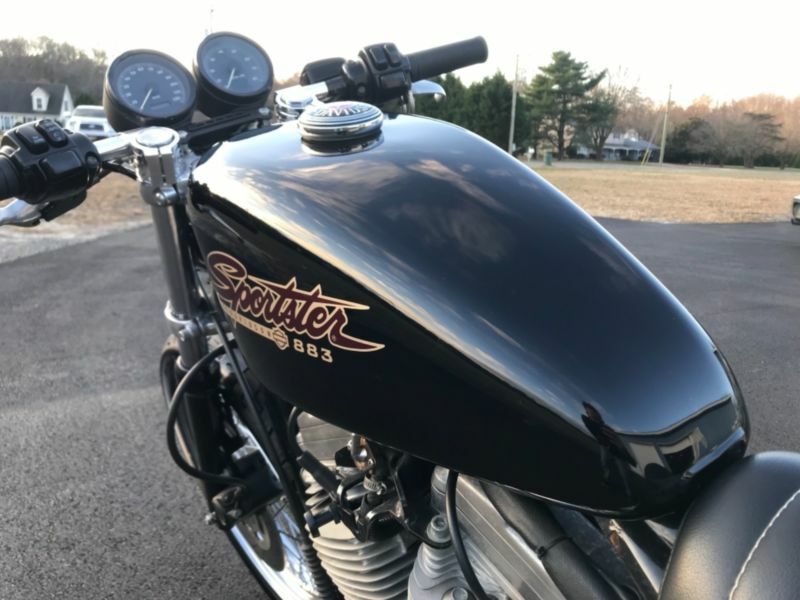 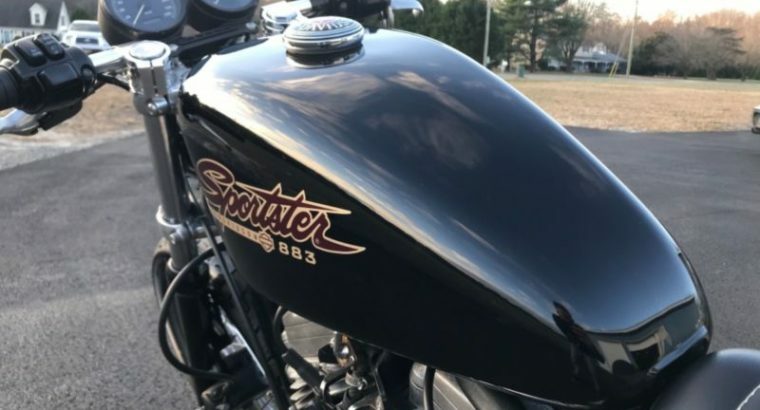 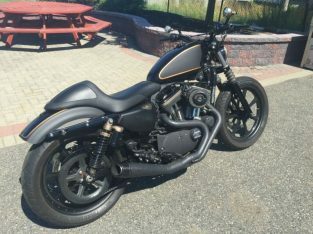 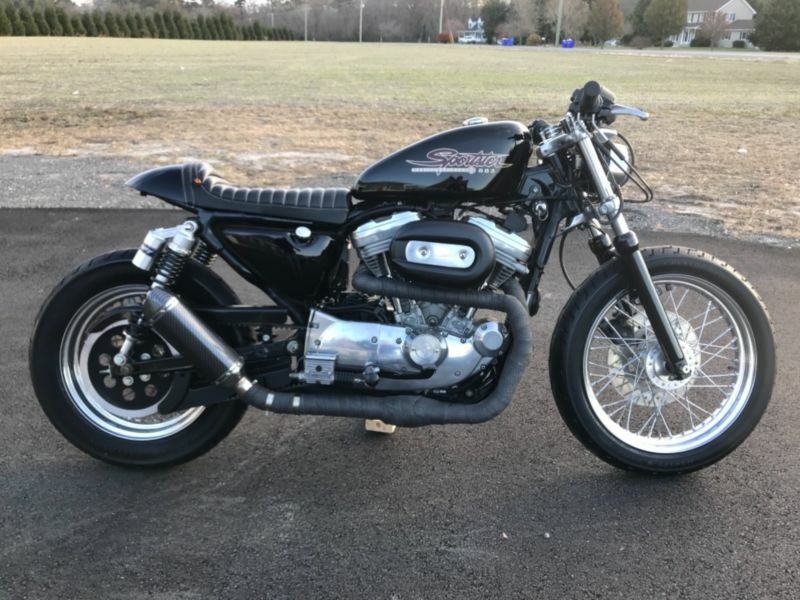 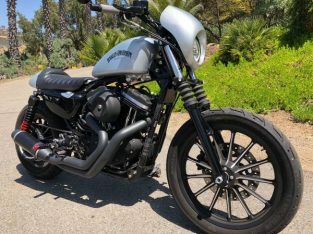 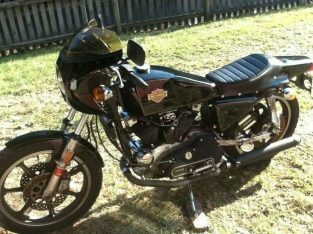 this is a cool garage build sportster that started with a low mileage 883 sporty Mechanically bike functions as it should with no problems starting, running, or stopping. 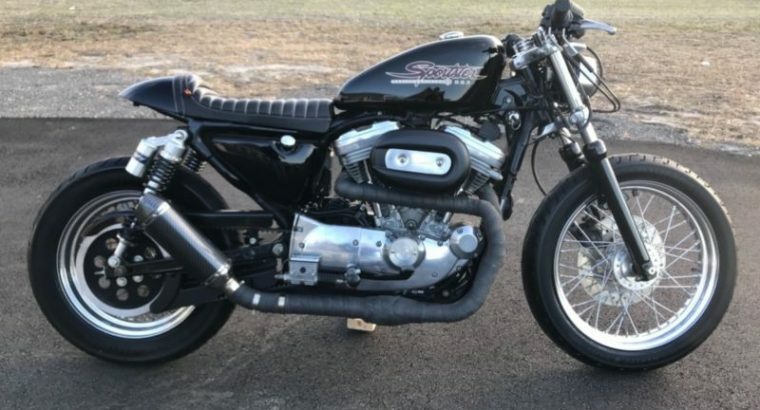 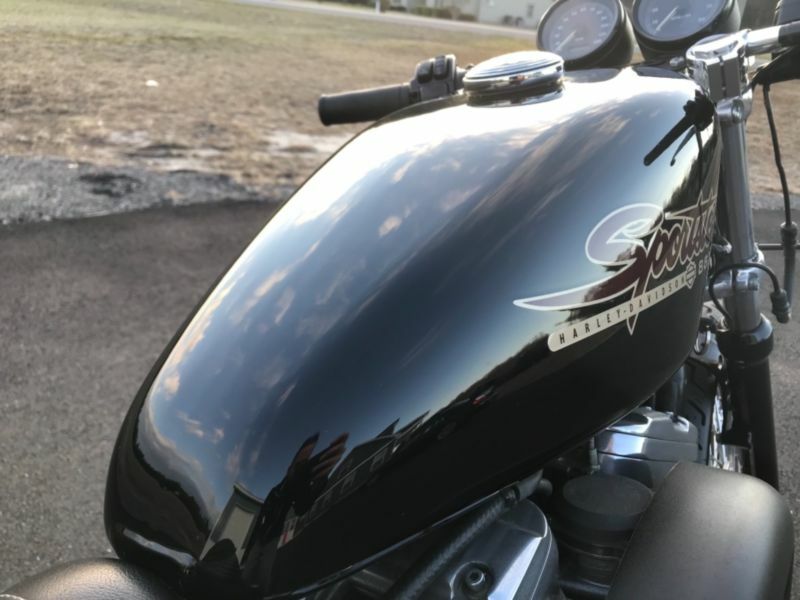 Clip ons and a front fork brace were added in the front while a cafe style seat cowl and adjustable reservoir shocks were added out back to get that cafe racer look. 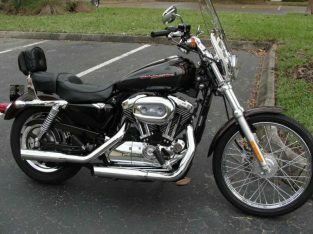 All turn signals were converted to slim LED ones and they do all function as normal. 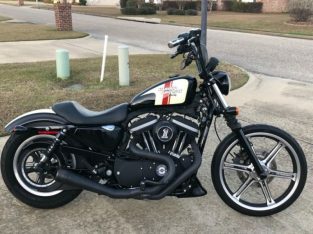 The stock exhaust was swapped out for a 2 into 1 style system with a carbon type muffler that gives this 883 a unique sound. 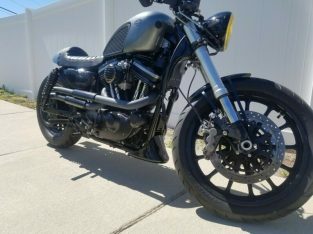 Overall this bike is a blast to ride and stands apart from the usually sportys seen. 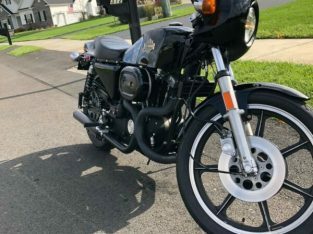 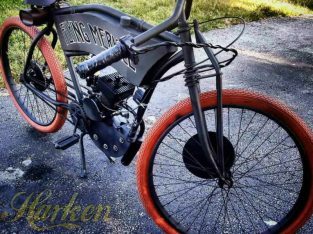 Buyer is responsible for all pickup or shipping of this bike. 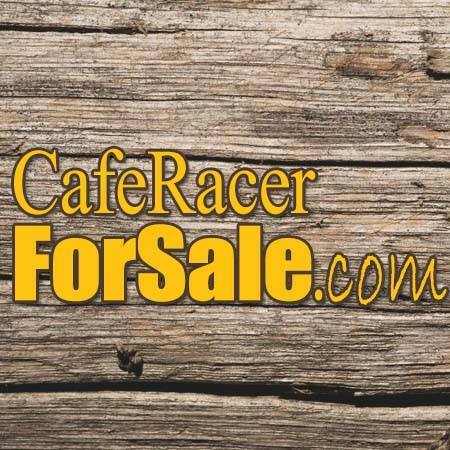 Buyer is also responsible for bidding to win and paying when auction is complete. 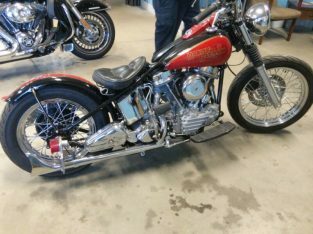 If you have any questions or need to inspect this bike prior to auction end please don’t hesitate to ask!